Slip-on canvas shoes inspired by an iconic '80s B-ball design. As a defining look of '80s B-ball style, the Nizza offered a lightweight textile alternative to traditional leather designs. 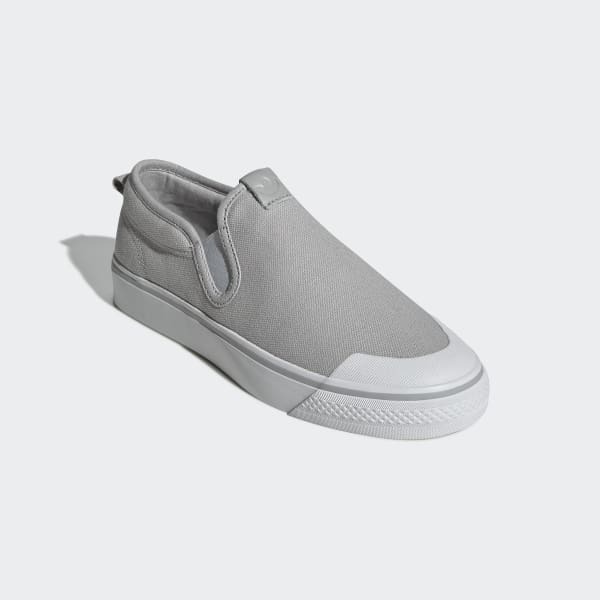 This version reimagines the original look as an easy slip-on. The shoes are made of durable, naturally breathable canvas and come with a leather tongue label to add a luxe touch.